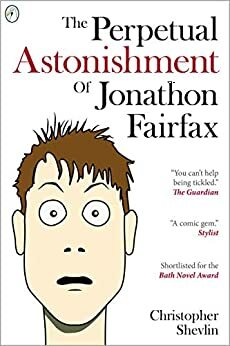 When Jonathon Fairfax accidentally helps a murderer bump off Sarah Morecambe, the secretary of a senior politician, he sets off a chain of events that astonishes him. Jonathon is wrong-footed by even the most everyday things, so he's particularly startled to find himself caught up in a conspiracy that goes right to the heart of government. Teaming up with a suave private investigator, a glamorous grannie and the probable love of his life, Jonathon must confront his greatest fears - including talking to girls and balaclava-clad killers - and answer some very difficult questions. Who murdered Sarah Morecambe? What is the strange secret that unites the entire British government? And what exactly does it feel like to kiss a real-life woman? With its naïve, reluctant hero and wry look at life, The Perpetual Astonishment of Jonathon Fairfax has been compared to books by Douglas Adams, Carl Hiaasen and PG Wodehouse. 4.0 out of 5 starsAn enjoyable farce. An interesting and original story. It was light and funny, but a little convoluted in parts. I would like to read more in the series. 5.0 out of 5 starsDefinitely will make you laugh! This came up as a recommendation for me by Amazon, I'm glad I bought it! This was a thoroughly enjoyable book full of hilarious moments and unique, interesting characters. Despite the absurdity if what is going through Jonathon, Lance and the other main character's minds it feels at the same time entirely believable. Download this book, you won't be disappointed! Wordplay based humour along with some surprising social insights. Flawed but likeable characters and good pace. A perfect holiday read. 5.0 out of 5 starsGreat characters. I love the quirky nature of the characters and the antics they get up to. Lots of fun. A nice easy holiday read. Mr Shevlin has a delightful way with words, and his cast of characters are quite endearing. If you are looking for a chuckle, look no further. 5.0 out of 5 starsread this ! i loved this book ... found myself either laughing or smiling at some wonderful characters. Well done Mr Shelvin for creating a very entertaing read.. definetly looking forward to you next !